On April 12th Dave Mustaine of Megadeth shared the stage with the San Diego Symphony Orchestra during a very unique one time performance for a sold out crowd. Dean Guitars made Dave a classical themed VMNT guitar just for this event. Hard-shell case included. 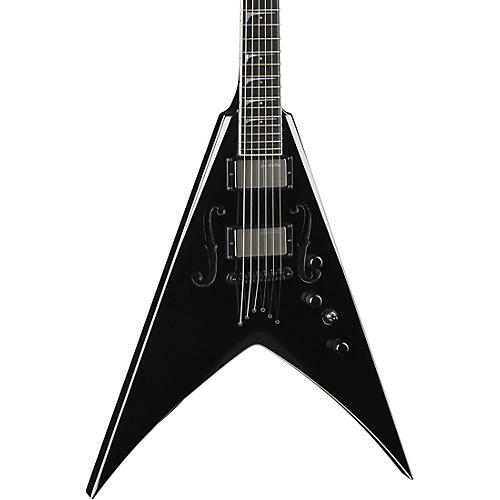 It features a maple arch top with F-Holes, Mustaine Spec shaped neck and Seymour Duncan Livewire pickups.